Celltrion said Thursday that it has completed registering patients for its global phase 3 clinical trial into CT-P17, a Humira biosimilar candidate. Humira, developed by Abbvie, is a therapeutic biopharmaceutical for the treatment of rheumatoid arthritis, inflammatory bowel disease, psoriatic arthritis, and ankylosing spondylitis. The drug recorded a sale of $18.4 billion in 2017, making it the largest-selling blockbuster medicine in the world. The company has differentiated its drug from its competitors by developing CT-P17 as a high-concentration formulation. Unlike competitive biosimilars, the company also developed CT-P17 as a citrate free formulation, which can reduce the pain of the injection as it does not have a citrate buffer. 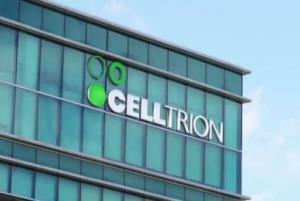 Celltrion plans to maximize its share in the 43 trillion won ($37.8 billion) global tumor necrosis factor-alpha (TNF-α) market, along with Remsima and Remsima SC. According to IQVIQ, a market research agency, Remsima holds 56 percent of the EU's TNF-α market, while the company expects to receive regulatory approval for Remsima SC from the European Medicines Agency this year.